Infect and Destroy is an indie game in which you play as an infectious disease with the sole purpose of eliminating everyone on Earth. 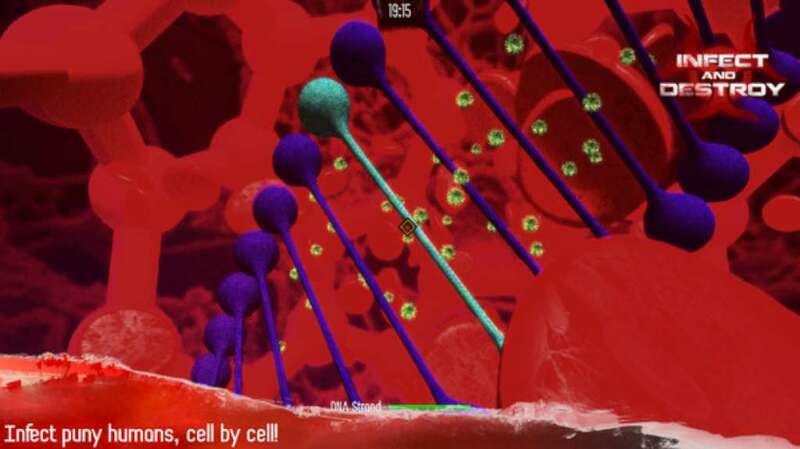 Play as an ultra-intelligent self-aware virus capable of reanimating the dead and turning them into your minions. Spread amongst the globe, infecting and reanimating all those who stand in your way. Play as the disease - Experience an interactive and non-linear sandbox campaign in which you take control of a zombie plague the likes of which never seen before by mankind. Major cities and locations from around the globe are ready for your terror and carnage. You are the horror - Evolve and mutate your virus, spawn special types of zombies, invoke city-wide disasters and send the humans fleeing for their miserable doomed lives. You are the one who decides when it is time to scream and when it is time to die. Expand your reign of fear - The entire world is your breeding ground. Infect abandoned buildings to turn them into hives, setting up your base of gruesomeness as you go along. Traps, spawners and terrifying organic structures are all at your disposal. 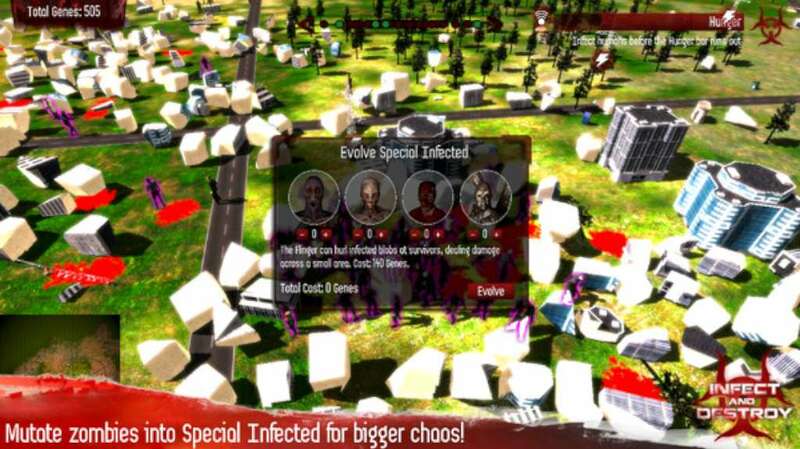 Adapt to survive - The humans will do all in their power to stop your tyrannical plague. Quarantines, military strikes, evacuations, vaccinations, nukes and more will all be used with hopes of stopping their inevitable extinction. 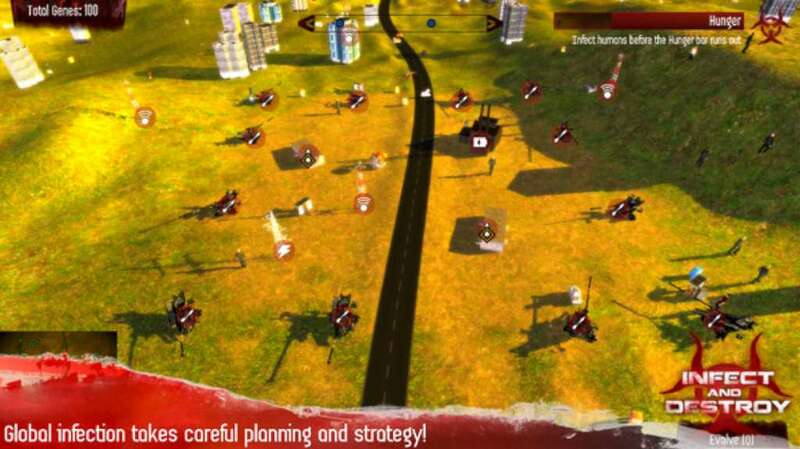 Huge game worlds - All confrontations and infections take place in realistically sized scenarios. Your hordes will have to cross swamps, forests, mountains and more to cure their insatiable hunger. Affect the world around you - Take out power stations to cause blackouts, infect water distribution supplies, ruin food stockpiles, cause riots and more, thus causing the human race to crumble from within. Co-Op and Versus Modes - Players can aid each other by playing as the Conniption virus, or else test their mettle against one another in epic humans versus zombies confrontations. Pop-In Pop-Out - The player can take control of individual zombies and infected for a truly immersive and personalized experience. Use stealth to take special infected behind enemy lines or charge and pummel through military front lines.